Coordinates: 52°20′N 20°44′E﻿ / ﻿52.33°N 20.74°E﻿ / 52.33; 20.74 The Palmiry massacre was a series of mass executions carried out by Nazi German forces, during World War II, near the village of Palmiry in the Kampinos Forest northwest of Warsaw. Between December 1939 and July 1941 more than 1700 Poles and Jews – mostly inmates of Warsaw's Pawiak prison – were executed by the SS and Ordnungspolizei in a forest glade near Palmiry. The best documented of these massacres took place on 20–21 June 1940, when 358 members of the Polish political, cultural, and social elite were murdered in a single operation. Palmiry is one of the most infamous sites of German crimes in Poland, and "one of the most notorious places of mass executions" in Poland. Along with the Katyn massacre, it has become emblematic of the martyrdom of Polish intelligentsia during World War II. There is a one place in this country which is a source of all our misfortunes – it is Warsaw. Without Warsaw we wouldn't have four-fifths of the troubles which we're facing now. Warsaw is the focus of all disturbances, the place from which discontent is spread through the whole country. The Polish capital surrendered to the Wehrmacht armies on 28 September 1939. 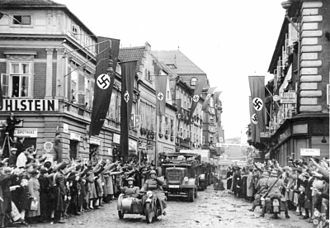 Three days later members of Einsatzgruppe IV led by SS-Brigadeführer Lothar Beutel entered the city. They immediately conducted a search in public and private buildings, as well as mass arrests. On 8 October 1939 about 354 Polish teachers and catholic priests were detained because occupational authorities assumed that they are “full of Polish chauvinism” and “created an enormous danger” for public order. Soon Warsaw's prisons and detention centers Pawiak, Mokotów Prison, the Central Detention Center at Daniłowiczowska Street, the cellars of the Gestapo headquarter on 25 Szucha Avenue were full of inmates. Many of the prisoners were deported to Nazi concentration camps. Many others were murdered. 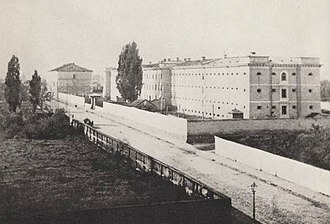 In the first months of German occupation political prisoners from Warsaw were secretly executed in the back of the Polish parliament (Sejm) building complex at Wiejska Street[b] (in the so-called Sejm gardens, ogrody sejmowe). Between October 1939 and April 1940 several hundred people were murdered in this place. However Nazi German police authorities soon realized that they would not be able to keep executions secret if they were conducted in the very center of a large city. It was decided that henceforth mass executions would be carried out in the small forest glade in Kampinos Forest, located near the villages of Palmiry and Pociecha, about 30 kilometres (19 mi) northwest of Warsaw. Executions in Palmiry were carried out by the members of the Ordnungspolizei or by the SS-Reiterei [de] (SS Cavalry) regiment which was quartered in Warsaw. They were overseen by Gestapo officers led by the SD and Sicherheitspolizei Commander in Warsaw, SS-Standartenführer Josef Meisinger. In every case mass executions in Palmiry were prepared in a careful manner. Mass graves were always dug a few days before the planned execution. Usually it was done by the Arbeitsdienst unit which was quartered in Łomna or by Hitlerjugend members who camped near Palmiry. In most cases the graves were shaped like a ditch and were more than 30 metres (98 ft) long and 2.5–3 metres (8 ft 2 in–9 ft 10 in) deep. Sometimes, for smaller groups of convicts or for individual victims, irregularly shaped graves were prepared, similar to natural terrain landslides or to explosion craters. The glade where executions took place was soon enlarged by tree-cutting. On the day of planned execution Polish forestry workers always received a day off. In the meantime German police undertook intensive patrolling near the glade and in the surrounding forest. Victims were transported to the place of execution by trucks. Usually they were brought from Pawiak prison, rarely from Mokotów Prison. SS soldiers tried to convince their victims that they are going to transfer them to another prison or to a concentration camp. For this reason, death transports were usually formed at dusk and prisoners were allowed to take their belongings with them. Sometimes before departure convicts received an additional food ration and they were given back their documents from the prison's depository. Initially, these methods were so effective that the prisoners were not aware of the fate awaiting them. Later, when the truth about what was happening in Palmiry spread through Warsaw, some victims tried to throw short letters or small belongings from the trucks, in hopes that in this way they would be able to inform their families about their fate. During postwar exhumation some bodies were found with a card reading "Executed in Palmiry", written by the victims shortly before their death. At the glade the prisoners' bags were taken but they were permitted to keep their documents and small belongings. 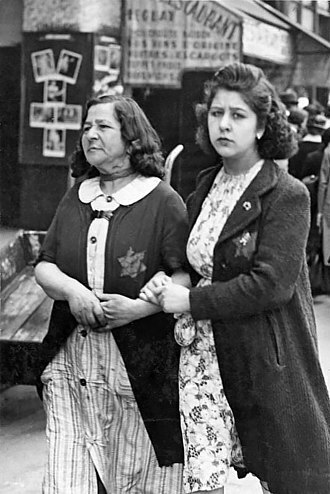 Jews could keep their yellow badges, and people who worked in Pawiak's infirmary could keep their badges with the Red Cross symbol. Sometimes prisoners' hands were tied and their eyes blindfolded. The victims were then taken to the edge of the grave and executed by machine gun fire. Sometimes victims were forced to hold a long pole or ladder behind their back. Such supports were later lowered so that the bodies fell into the grave in an even layer. Postwar exhumation proved that the wounded victims were sometimes buried alive. SS and OrPo members photographed the executions until it was forbidden by the SS-Standartenführer Meisinger, as happened on 3 May 1940. After the execution was finished, the graves were filled in, covered with moss and needles, and then planted over with young pine trees. Families of the victims were later informed by the Nazi authorities that their relatives had "died from natural causes". 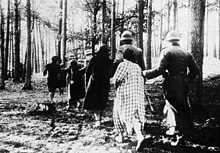 Probably the first executions in the forest glade near Palmiry were carried out on 7 and 8 December 1939, when 70 and 80 people were murdered, respectively. According to the Wehrmacht soldiers who guarded a nearby ammunition warehouse, all the victims were Jewish. However, it is impossible to confirm that information. The next execution was conducted on 14 December 1939 when 46 people were shot dead. At least some of the victims came from Pruszków. Among them were Stanisław Kalbarczyk, a Polish teacher from Pruszków, and two unidentified women. The circumstances of the last mass execution conducted in Palmiry in 1939 are at least partially known. However, according to Maria Wardzyńska (a Polish historian employed in the Institute of National Remembrance), at least 70 other people were secretly executed in Palmiry before the end of 1939. In January and February 1940 the Gestapo infiltrated and crushed the underground organization Polska Ludowa Akcja Niepodległościowa (PLAN) ("Polish People's Independence Action"). On 14 January, the PLAN commander, Kazimierz Andrzej Kott, escaped from the Gestapo headquarters at 25 Szucha Avenue. Soon after, several hundred people were arrested in Warsaw, among them 255 leading Jewish intellectuals. On 21 January about 80 hostages, including two women, were executed in Palmiry. Among the victims were Fr. Marceli Nowakowski (rector of the Church of the Holiest Saviour in Warsaw, and former member of parliament) and 36 Jews (including attorney Ludwik Dyzenhaus, dentist Franciszek Sturm and chess master Dawid Przepiórka). Another 118 people arrested after Kott's escape, mostly Jews, were probably murdered in Palmiry in the first months of 1940. According to Maria Wardzyńska, about 40 inhabitants of Zakroczym were also executed in Palmiry in January 1940. Among them was the mayor of Zakroczym, Tadeusz Henzlich. The next mass execution in Palmiry was carried out on 26 February 1940. In retaliation for the death of the German mayor of Legionowo, who had been assassinated two days earlier by unknown perpetrators, about 190 people were murdered at the "glade of death". Among the victims were six women. In most cases the victims of this execution came from Legionowo or from surrounding localities. On the night of 28 March 1940, German police officers entered the house at Sosnowa Street in Warsaw where Józef Bruckner, commander of the underground organization Wilki ("The Wolves"), had his conspiratorial flat. Bruckner and his aide opened fire on the policemen, and after a brief fight, they escaped from the building. In retaliation, the Germans arrested 34 Polish men who lived in this building (aged 17 to 60). All of them were murdered in Palmiry on 23 April 1940. On 2 April 1940, about 100 inmates of Pawiak and Mokotów prisons were murdered in Palmiry. The execution was conducted in retaliation for the assassination of two German soldiers in Warsaw. Among the victims were Fr. Jan Krawczyk (theologian, parson of Catholic parish in Wilanów), Bogumił Marzec (attorney), Stefan Napierski (literary critic, editor of monthly magazine of literature Ateneum), Bohdan Offenberg (deputy director of the Labour Fund), Zbigniew Rawicz-Twaróg (captain of the Polish Army), Jacek Szwemin (architect), and 27 women. According to Polish historians, between 700 and 900 people were executed in Palmiry from December 1939 until April 1940. In the spring of 1940, the highest NSDAP and SS authorities in the General Government decided to conduct a wide-ranging police operation aimed at the extermination of the Polish political, cultural, and social elite. 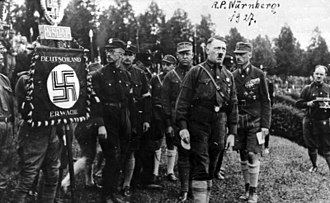 The mass murder of Polish politicians, intellectuals, artists, social activists, as well as people suspected of potential anti-Nazi activity, was seen as a preemptive measure to keep the Polish resistance scattered and to prevent the Poles from revolting during the planned German invasion of France. This operation was given the code name AB-Aktion (shortcut from Außerordentliche Befriedungsaktion[d]). It officially lasted from May to July 1940 and claimed at least 6500 lives. At the end of March 1940, Warsaw and surrounding cities were hit by a wave of arrests. During the next two months, hundreds of Polish intellectuals and prewar politicians were detained and imprisoned in Pawiak. On 20 April, the Gestapo arrested 42 Polish attorneys in the building of Warsaw's Chamber of Attorneys. On 10 May, occupants detained over a dozen Polish school headmasters who, despite the German interdict, had closed their school on May 3rd Constitution Day. The frequency and number of executions in Palmiry increased with the beginning of AB-Aktion. The first mass execution conducted in Palmiry in the course of AB-Aktion took place on 14 June 1940. About 20 people were murdered on that day, among them Polish historian Karol Drewnowski and his son Andrzej. On 23 July 1940, Governor-General Hans Frank officially announced the end of AB-Aktion. Despite that, massacres in Palmiry continued for over a year. On 30 August 1940, at least 87 persons were executed at the forest glade. Among the victims were a number of people who were arrested in Włochy three months earlier. Another mass execution was carried out on 17 September 1940 when about 200 prisoners of Pawiak, including 20 women, were murdered at the forest glade near Palmiry. Among the victims were: Tadeusz Panek and Zbigniew Wróblewski (attorneys), Fr. Zygmunt Sajna (parson of Catholic parish in Góra Kalwaria), Jadwiga Bogdziewicz and Jan Borski (journalists). 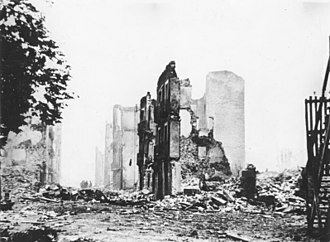 According to Regina Domańska, this massacre might be connected with the uncovering of an underground printing house at Lwowska Street in Warsaw. This was the last execution conducted in Palmiry in 1940 for which circumstances are at least partially known. However, during the postwar exhumation, three mass graves filled with 74, 28, and 24 corpses respectively, were found at the forest glade. It is certain that first two of them were filled and buried in the winter of 1940, while the third one was probably dug in the winter of 1940 or 1939. Polish historians were not able to determine the circumstances of those massacres. According to Regina Domańska, about 27 prisoners of Pawiak were executed in Palmiry on 4 December 1940. According to Maria Wardzyńska, up to 260 people could have been murdered in Palmiry in the winter of 1940. On 7 March 1941, actor Igo Sym, well-known Nazi collaborator and Gestapo agent, was assassinated by the soldiers of the Union of Armed Struggle. In retaliation, 21 Pawiak prisoners were executed in Palmiry four days later. Among the victims were Stefan Kopeć (biologist, professor at the University of Warsaw) and Kazimierz Zakrzewski (historian, professor at the University of Warsaw). On 1 April 1941 about 20 men from Łowicz were executed in Palmiry. 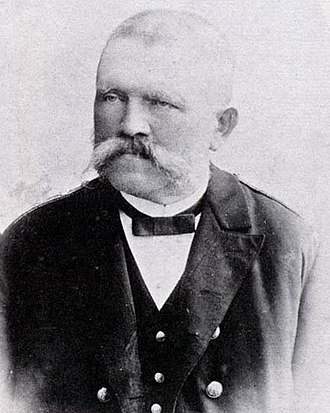 Among the victims was deputy mayor of Łowicz, Adolf Kutkowski. Another massacre was conducted on 12 June 1941 when 30 prisoners of Pawiak, including 14 women, were murdered in Palmiry. Among the victims were: Witold Hulewicz (poet and radio journalist), Stanisław Piasecki (right-wing politician and literary critic), Jerzy Szurig (lawyer, syndicalist), Stanisław Malinowski (attorney). The last known mass execution in Palmiry was carried out on 17 July 1941 when 47 people, mostly prisoners of Pawiak, were murdered in the forest glade. Among the victims were Zygmunt Dymek (journalist and labor activist) and six women. After 17 July 1941, German authorities ceased using the forest glade in Palmiry as a place of mass executions. The reason probably was that they realized the Polish resistance and the civilian population were well aware of what was happening in Palmiry. Human skull found in a mass grave. Note entrance and exit gunshot wounds. After the war, the Polish Red Cross, supported by the Chief Commission for the Investigation of German Crimes in Poland, began the search and exhumation process in Palmiry. The work was carried out between 25 November and 6 December 1945, and later from 28 March until the first months of summer 1946. Thanks to Adam Herbański and his subordinates from the Polish Forest Service, who in the years of occupation were risking their own lives to mark the places of execution, Polish investigators were able to find 24 mass graves. More than 1700 corpses were exhumed, but only 576 of them were identified. Later Polish historians were able to identify the names of another 480 victims. It is possible that some graves still lie undiscovered in the forest near Palmiry. In 1948 the forest glade near Palmiry was transformed into a war cemetery and a mausoleum. Victims of Nazi terror whose bodies were found in some other places of execution within the so-called "Warsaw Death Ring"[e] were also buried in the Palmiry cemetery. Altogether, approximately 2204 people are buried there. In 1973, the Palmiry National Memorial Museum, a branch of the Museum of Warsaw, was created in Palmiry. Fr. Zygmunt Sajna, who was murdered in Palmiry on 17 September 1940, is one of the 108 Polish Martyrs of World War II beatified on 13 June 1999 by Pope John Paul II. Fr. Kazimierz Pieniążek (member of the Resurrectionist Congregation), another victim of the Palmiry massacre, has been accorded the title of Servant of God. He is currently one of the 122 Polish martyrs of the Second World War included in the beatification process initiated in 1994. Palmiry has become, as Richard C. Lukas puts it, "one of the most notorious places of mass executions" in Poland. It is also one of the most famous sites of Nazi crimes in Poland. Along with the Katyn Forest it became a symbol of the martyrdom of the Polish intelligentsia during the Second World War. In 2011 Polish president Bronisław Komorowski said that "Palmiry is to some extent the Warsaw Katyn". Some of the Palmiry murderers were brought to justice. Ludwig Fischer, governor of Warsaw district in 1939–1945, and SS-Standartenführer Josef Meisinger, who occupied the post of SD and SiPo Commander in Warsaw in years 1939–1941, were arrested after the war by Allied forces and handed over to the Polish authorities. 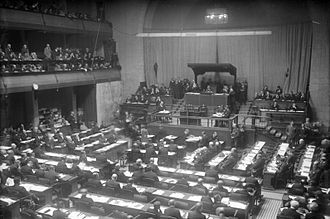 Their trial took place between 17 December 1946 and 24 February 1947. On 3 March 1947, the Supreme National Tribunal in Warsaw condemned both of them to death. Meisinger and Fischer were hanged in Mokotów Prison in March 1947. SS-Gruppenführer Paul Moder, SS and Police Leader in Warsaw district in 1940–1941, was killed in action on the Eastern Front in February 1942. ^ Before World War II about 40% of Polish university students and academic lecturers lived in Warsaw. There were more than 900 schools and colleges of various types, as well as about 200 museums, archives, libraries, theaters and cinemas. About half of all Polish newspapers and magazines were printed in Warsaw. See: Bartoszewski (1970), pp. 39–40. ^ After the beginning of German occupation, the Sejm buildings were converted into barracks for Ordnungspolizei units. ^ Some of these photos were included in a brochure titled Totaler Terror. Polen am Marterpfahl ("Total terror. Poland at the torture stake"), which was published by the Polish Underground State in 1943. 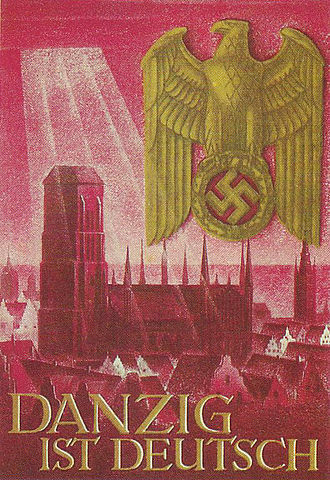 The brochure was written in German because German soldiers stationed in occupied Poland were its target. ^ English: "Extraordinary Operation of Pacification". ^ In Lasy Chojnowskie, Laski, Łuże, Szwedzkie Góry, Wólka Węglowa. ^ a b Lukas (2004), p. 70. ^ Dunin-Wąsowicz (1984), p. 5. ^ Bartoszewski (1970), p. 442. ^ Bartoszewski (1970), pp. 39–40. ^ a b Wardzyńska (2009), p. 240. ^ Bartoszewski (1976), p. 15. ^ Wardzyńska (2009), pp. 241–242. ^ Bartoszewski (1970), p. 64. ^ Böhler, Mallmann, Matthäus (2009), p. 89. ^ Bartoszewski (1970), pp. 64–65. ^ a b c d Bartoszewski (1970), p. 66. ^ a b c Bartoszewski (1970), p. 65. ^ Domańska (1978), p. 27. ^ a b Bartoszewski (1970), p. 112. ^ Bartoszewski (1976), p. 22. ^ Domańska (1978), p. 58. ^ a b Wardzyńska (2009), p. 242. ^ Bartoszewski (1970), pp. 67–68. ^ a b Bartoszewski (1970), p. 68. ^ a b c Wardzyńska (2009), p. 244. ^ Bartoszewski (1970), p. 73. ^ Bartoszewski (1970), p. 74. ^ Domańska (1978), p. 44. ^ Bartoszewski (1970), pp. 78–79. ^ Bartoszewski (1970), pp. 76–77. ^ Bartoszewski (1970), p. 445. ^ Wardzyńska (2009), p. 243. ^ Bartoszewski (1970), pp. 60–62. ^ Mańkowski (1992), pp. 10–12. ^ Mańkowski (1992), p. 13. ^ Rozett & Spector (2013), p. 101. ^ Mańkowski (1992), p. 21. ^ Mańkowski (1992), p. 24. ^ Bartoszewski (1970), p. 80. ^ Bartoszewski (1976), p. 39. ^ Bartoszewski (1970), p. 83–94. ^ Wardzyńska (2009), pp. 262–263. ^ Bartoszewski (1970), p. 94. ^ Wardzyńska (2009), p. 263. ^ Domańska (1978), p. 93. ^ Bartoszewski (1976), pp. 102–104. ^ Domańska (1978), p. 113. ^ Wardzyńska (2009), pp. 263–264. ^ Bartoszewski (1970), p. 105. ^ Domańska (1978), p. 138. ^ Bartoszewski (1970), p. 108. ^ Bartoszewski (1970), p. 109. ^ Domańska (1978), p. 158. ^ Bartoszewski (1976), pp. 66–67. ^ Bartoszewski (1970), p. 113. ^ a b Misiak (2006), pp. 6–7. ^ Bartoszewski (1976), p. 7. ^ Sierchuła & Muszyński (2008), p. I. ^ "Prezydent: Palmiry to warszawski Katyń" [President: Palmiry is a Warsaw Katyn] (in Polish). President of the Polish Republic. 31 March 2011. Archived from the original on May 18, 2015. Retrieved 23 April 2015. ^ Bartoszewski (1970), pp. 54 and 423. ^ Bartoszewski (1970), p. 424. Władysław Bartoszewski (1976). 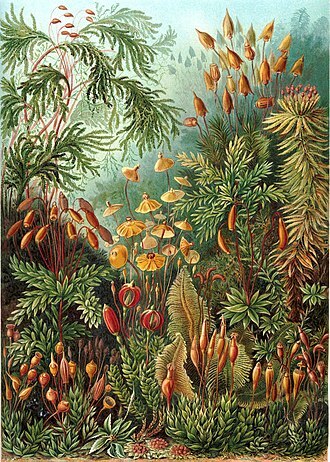 Palmiry (in Polish). Warszawa: Książka i Wiedza. Władysław Bartoszewski (1970). Warszawski pierścień śmierci 1939–1944 (in Polish). Warszawa: Interpress. Jochen Böhler; Klaus-Michael Mallmann; Jürgen Matthäus (2009). 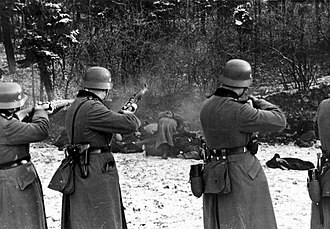 Einsatzgruppen w Polsce (in Polish). Warszawa: Bellona. ISBN 978-83-11-11588-0. Regina Domańska (1978). Pawiak – więzienie Gestapo. Kronika lat 1939–1944 (in Polish). Warszawa: Książka i Wiedza. Krzysztof Dunin-Wąsowicz (1984). Warszawa w latach 1939–1945 (in Polish). Warszawa: Państwowe Wydawnictwo Naukowe. ISBN 83-01-04207-9. Richard C. Lukas (2004). Forgotten Survivors: Polish Christians Remember the Nazi Occupation. University Press of Kansas. ISBN 978-0-7006-1350-2. Retrieved 2016-03-24. Zygmunt Mańkowski (1992). Außerordentliche Befriedungsaktion 1940 – akcja AB na ziemiach polskich (in Polish). Warszawa: Zakład Historii Najnowszej Uniwersytetu Marii Skłodowskiej-Curie i OKBZpNP-IPN w Lublinie. Jerzy Misiak (2006). 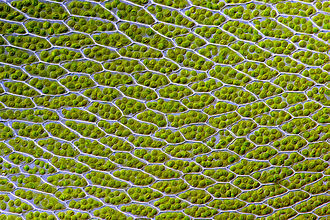 Palmiry (in Polish). Izabelin: Kampinoski Park Narodowy. ISBN 83-89961-22-9. Robert Rozett; Shmuel Spector (2013). Encyclopedia of the Holocaust. Routledge. ISBN 1135969507. Retrieved 2016-03-24. Rafał Sierchuła; Wojciech Muszyński (2008-04-04). "Katyń i Palmiry 1940 (Dodatek specjalny IPN)". Niezależna Gazeta Polska (in Polish). Artur Stelmasiak (August 2008). "Dobry proboszcz na złe czasy" (in Polish). e-civitas.pl. Retrieved April 23, 2015. Wojciech Świątkiewicz (21 June 2015). 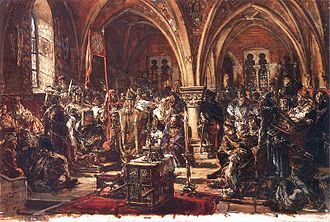 "Palmiry: warszawski Katyń" (in Polish). idziemy.pl. Retrieved June 12, 2016. Maria Wardzyńska (2009). Był rok 1939. Operacja niemieckiej policji bezpieczeństwa w Polsce. Intelligenzaktion (in Polish). Warszawa: Instytut Pamięci Narodowej. ISBN 978-83-7629-063-8. "Palmiry National Memorial Museum (Miejsce Pamięci Palmiry)". warsawtour.pl. Retrieved April 23, 2015. "Prezydent: Palmiry to warszawski Katyń" (in Polish). prezydent.pl. March 31, 2011. Archived from the original on May 18, 2015. Retrieved April 23, 2015. Wikimedia Commons has media related to Palmiry massacre. Nazi Germany maintained concentration camps throughout the territories it controlled before and during the Second World War. Used to hold and torture political opponents and union organizers, the camps initially held around 45,000 prisoners, Heinrich Himmlers SS took full control of the police and concentration camps throughout Germany in 1934–35. Himmler expanded the role of the camps to holding so-called racially undesirable elements of German society, such as Jews, criminals and Romani. The number of people in camps, which had fallen to 7,500, grew again to 21,000 by the start of World War II and peaked at 715,000 in January 1945. 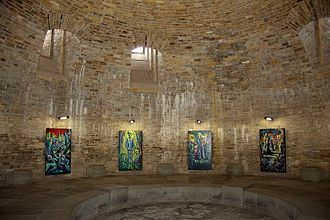 The concentration camps were administered since 1934 by Concentration Camps Inspectorate which in 1942 was merged into SS-Wirtschafts-Verwaltungshauptamt and were guarded by SS-Totenkopfverbände, use of the word concentration came from the idea of using documents confining to one place a group of people who are in some way undesirable. The term itself originated in the camps set up in Cuba by General Valeriano Weyler in 1897. Concentration camps had in the past been used by the U. S. against Native Americans, between 1904 and 1908, the Schutztruppe of the Imperial German Army operated concentration camps in German South-West Africa as part of their genocide of the Herero and Namaqua peoples. The Shark Island Concentration Camp in Lüderitz was the biggest and the one with the harshest conditions, when the Nazis came to power in Germany, they quickly moved to suppress all real or potential opposition. The general public was intimidated through arbitrary psychological terror of the special courts, especially during the first years of their existence these courts had a strong deterrent effect against any form of political protest. The first camp in Germany, was founded in March 1933, the press announcement said that the first concentration camp is to be opened in Dachau with an accommodation for 5,000 people. Dachau was the first regular concentration camp established by the German coalition government of National Socialist Workers Party, Heinrich Himmler, Chief of Police of Munich, officially described the camp as the first concentration camp for political prisoners. Hans Michael Frank was a German lawyer who worked for the Nazi Party during the 1920s and 1930s, and became Adolf Hitlers personal lawyer. 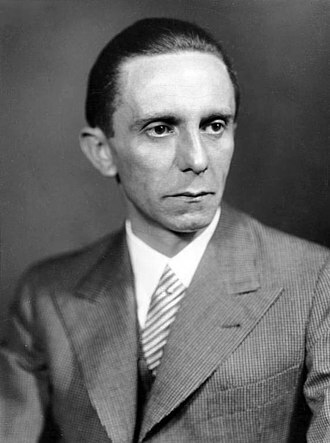 After the invasion of Poland, Frank became Nazi Germanys chief jurist in the occupied Poland General Government territory, during his tenure throughout World War II, he instituted a reign of terror against the civilian population and became directly involved in the mass murder of Jews. At the Nuremberg trials, he was guilty of war crimes and crimes against humanity and was executed. Frank, the child of three, was born in Karlsruhe to Karl Frank, a lawyer, and his wife, Magdalena. He graduated from school at the renowned Maximilians gymnasium in Munich. 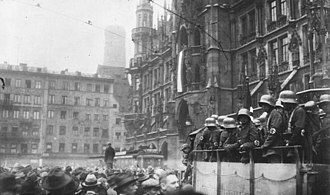 After the war, in 1919 and 1920, he was a member of the Thule völkisch society and he served in the Freikorps under Franz Ritter von Epps command, taking part in the crackdown of the Münchner Räterepublik. In 1919, as did members of the Thule society. In November of the year, Frank took part in the Beer Hall Putsch. In the aftermath of the putsch, Frank fled to Austria returning in Munich only in 1924. Frank studied law and rose to become Adolf Hitlers personal legal adviser, as the Nazis rose to power, Frank served as the partys lawyer. He represented it in over 2,400 cases and spent over $10,000 and this sometimes brought him into conflict with other lawyers. Once, a former teacher appealed to him, I beg you to leave people alone. Political movements that begin in the courts will end in the criminal courts. The trial was a media sensation, Hitler himself testified and the defence successfully put the Weimar Republic itself on trial. Many Army officers developed a view of the National Socialist movement as a consequence. 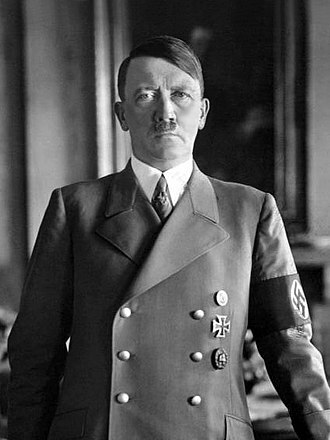 Frank was elected to the Reichstag in 1930, and in 1933 he was made Minister of Justice for Bavaria, from 1933, he was the head of the National Socialist Jurists Association and President of the Academy of German Law. 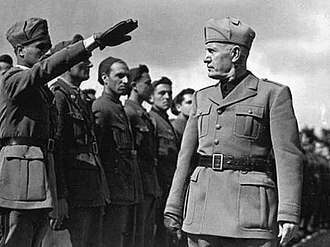 Frank objected to extrajudicial killings as it weakened the power of the legal system, the National Socialist ideology, especially as expressed in the Party programme and in the speeches of our Leader, is the basis for interpreting legal sources. A massacre is a specific incident which involves the killing of people, although not necessarily a crime against humanity. Further origins are dubious, though may be related to Latin macellum provisions store, robert Melsons basic working definition, reads, by massacre we shall mean the intentional killing by political actors of a significant number of relatively defenseless people. The motives for massacre need not be rational in order for the killings to be intentional, Mass killings can be carried out for various reasons, including a response to false rumors. Should be distinguished from criminal or pathological mass killings, as political bodies we of course include the state and its agencies, but nonstate actors. Equally important is that massacres are not carried out by individuals, the use of superior, even overwhelming force. Levene excludes legal, or even some quasi-legal, mass executions and he points out that it is. most often. When the act is outside the normal bounds of the society witnessing it. The Sicherheitspolizei, often abbreviated as SiPo, was a term used in Germany for security police. In the Nazi era, it was used to describe the political and criminal investigation security agencies. It was made up by the forces of the Gestapo. 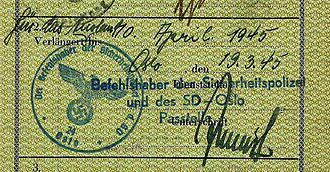 As a formal agency, the SiPo was folded into the RSHA in 1939, the term originated in August 1919 when the Reichswehr set up the Sicherheitswehr as a militarised police force to take action during times of riots or strikes. 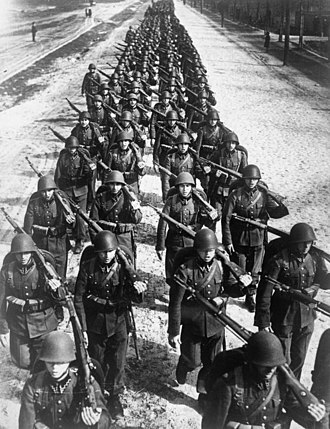 However owing to limitations in army numbers, it was renamed the Sicherheitspolizei to avoid attention and they wore a green uniform, and were sometimes called the Green Police. However it was a body, recruiting largely from the Freikorps, with NCOs. When the Nazis came to power, Germany, as a state, had myriad local and centralised police agencies. Himmler and Heydrichs grand plan was to absorb all the police. To this end, Himmler took command first of the Gestapo, on 17 June 1936 all police forces throughout Germany were united, following Adolf Hitlers appointment of Himmler as Chef der Deutschen Polizei. As such he was subordinate to Interior Minister Wilhelm Frick. 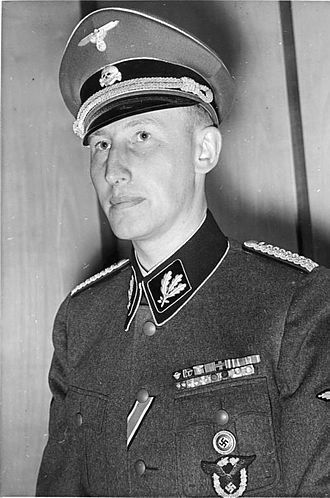 Reinhard Heydrich was appointed chief of the SiPo and was head of the party Sicherheitsdienst. The two police branches were commonly known as the Orpo and SiPo, the idea was to fully identify the party agency with the state agency. Most of the SiPo members were encouraged or volunteered to become members of the SS, the Hauptamt Sicherheitspolizei was founded by Himmler, in order to create a centralized main office under Heydrichs overall command of the SiPo. The Einsatzgruppen were formed under the direction of Heydrich and operated by the SS before, the Einsatzgruppen had its origins in the ad hoc Einsatzkommando formed by Heydrich to secure government buildings and documents following the Anschluss in Austria in March 1938. Originally part of the SiPo, two units of Einsatzgruppen were stationed in the Sudetenland in October 1938, when military action turned out not to be necessary because of the Munich Agreement, the Einsatzgruppen were assigned to confiscate government papers and police documents. The intelligentsia is a status class of educated people engaged in the complex mental labours that critique and lead in shaping the culture and politics of their society. As a status class, the intelligentsia includes artists and academics, journalists, the political role of the intelligentsia varies between being either a progressive influence or a regressive influence upon the development of their societies. The intelligentsia status-class arose in the late 18th century, in Russian-controlled Poland, in practice, the status and social function of the intelligentsia varied by society. Whereas in Western Europe, especially in Germany and Great Britain, the Bildungsbürgertum, in Europe, the Intelligentsia existed as a status class before the coinage of the term intelligentsia in the 19th century. As people whose professions placed them outside the places and functions of the town-and-country monarchic social-classes of the time. In 1860s Russia, the writer Pyotr Boborykin made the term intelligentsiya popular, 20th century After the Invasion of Poland, by Nazi Germany and the Soviet union, in occupied Poland each side proceeded to eliminate any possible resistance leader. The concept of intelligentsia must not be confused with the notion of intellectuals. ”Moreover, in 1860 there were 20,000 professionals in Russia and 85,000 by 1900. Originally composed of educated nobles, the intelligentsia became dominated by raznochintsy after 1861, in 183378.9 per cent of secondary-school students were children of nobles and bureaucrats, by 1885 they were 49.1 per cent of such students. The proportion of commoners increased from 19.0 to 43.8 per cent, in fear of an educated proletariat, Tsar Nicholas I limited the number of university students to 3,000 per year, yet there were 25,000 students, by 1894. Similarly the number of periodicals increased from 15 in 1855 to 140 periodical publications in 1885, the third element were professionals hired by zemstva. By 1900 there were 47,000 of them, most were liberal radicals, in Russia, the Bolsheviks did not consider the status class of the intelligentsiya to be a true social class, as defined in Marxist philosophy. As a status-class, the intelligentsia grow by recruiting members of the working class, the intelligentsia merely are an ideological illusion, a class of lackeys of the bourgeoisie and the landowners. Troops from the SS Police Battalions load Jews into boxcars at Marseille, France in January 1943. 21 October 1944. 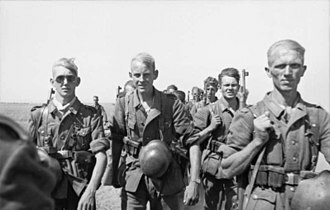 An SS Propaganda Company photograph of armed Volkstrum; a uniformed Orpo man is shown at the far right end of the line. Józef Beck, Minister of Foreign Affairs, delivers his famous Honour Speech in the Sejm, 5 May 1939. 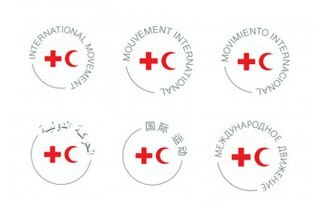 In addition to the flags of individual Societies and the ICRC, the Movement introduced its own multi-lingual logo in Arabic, Chinese, English, French, Russian, and Spanish in 2016. The symbols of the movement. 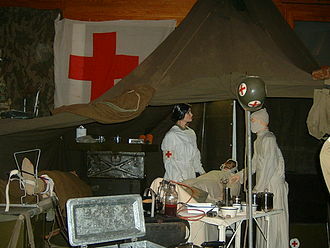 The Red Cross and the Red Crescent emblems at the International Red Cross and Red Crescent Museum in Geneva. The Red Crystal emblem has recently joined them. Medical personnel during an armed conflict carry out humanitarian work and are "protected persons" under international humanitarian law. Whether military or civilian, they are considered non-combatants and may not be attacked and not be taken as prisoners of war by parties to a conflict. They use a protective sign such as the red cross, red crescent, or red crystal. Attacking medical personnel, vehicles, or buildings marked with one of these protective signs is a war crime.